The happiest little POP! vinyl figure is coming this August! 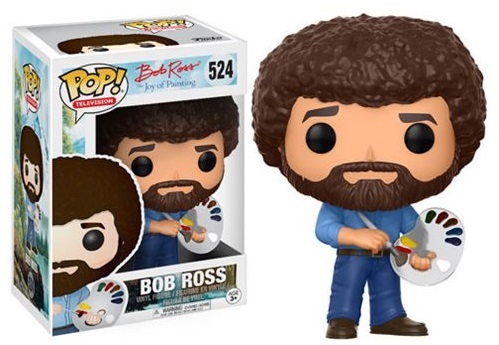 Funko just announced that Bob Ross, the soft-spoken creator and host of The Joy of Painting, is coming to their POP! Television collection. He comes dressed in a light blue shirt and denim jeans with his signature afro and beard. Holding a brush in one hand and palette in the other, all you'll need is a miniature easel so Bob can "beat the devil" out of his brush and paint some happy trees. 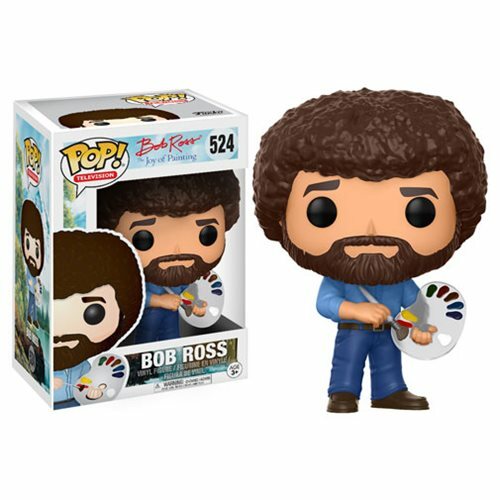 Make a big decision and preorder the Bob Ross POP! vinyl figure now at Entertainment Earth with an expected delivery date this September. You can also get a free figure when you buy four in-stock Funko POP! vinyl figures with Entertainment Earth's current deal. And if your spouse complains when your figures show up at your door, just tell them it was a happy accident.